Free MP4 Converter is professional MP4 Video Converter software, which helps you convert any video format to MP4 video for playback on iPhone (iPhone 5, iPhone 4S), iPad (iPad 4, iPad mini), iPod (iPod touch, iPod nano), and Apple TV. You are easy to convert HD videos and common videos like MKV, FLV, AVI, WMV, F4V, WebM, WTV, and more to MP4 formats in batch. Besides, you can define the video settings like Encoder, Frame Rate, Resolution, Aspect Ratio, Video Bitrate, and audio settings such as Encoder, Sample Rate, Channels, and Audio Bitrate with ease. You are allowed to convert HD video, AVCHD video, and common video like AVI, WMV, FLV, MOV, MPEG, M4V, MPG, 3GP to MP4 format. You can play the converted video/audio files on diverse multimedia players like iPhone 5, iPhone 4S, iPad 4, iPad mini, iPod touch and iPod nano. You can enjoy your favorite videos anytime you want. In the "Profile Settings" window, you’re free to modify the video and audio output settings. For the video settings, you’re allowed to adjust encoder, frame rate, resolution, aspect ratio and video bitrate. 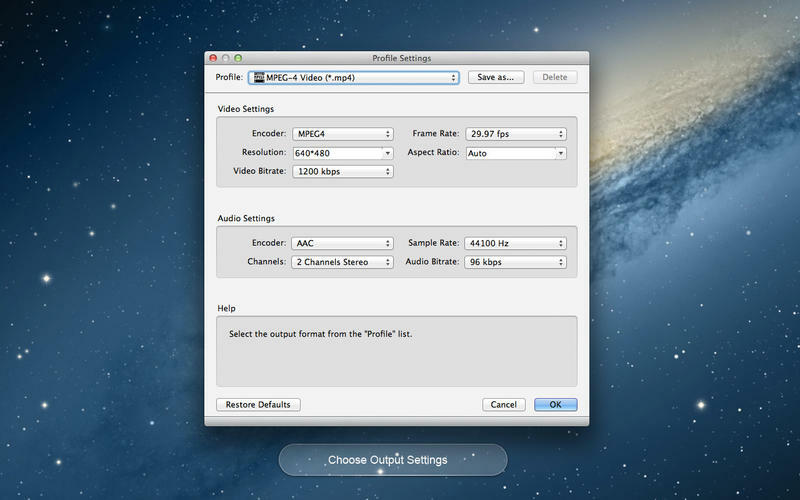 In addition, the audio settings like encoder, sample rate, channels and audio bitrate are adjustable at your disposal. Free MP4 Converter App support batch conversion. 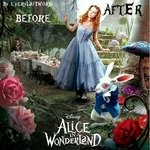 You can convert your home DVD videos and video files to multiple different video formats, which greatly save your time. ***** If want to rip home DVD and convert videos to any popular video simultaneously, you can search “AnyMP4 DVD Ripper Pro” App. This App can let uses rip DVD and convert video to your needed video format. Besides, it can help you edit your video like adjust the video effect, trim video length, crop video frame, and add watermark to the video. Now it is time-limited offer, please quickly size this great opportunity. ***** Well, if you really need to convert 2D video to 3D video; “Super Video Converter Pro” can help you meet the request. It has the function of converting any video formats to 3D video like 3D MKV, 3D AVI, 3D MP4, 3D TS, and more. It would be your first choice by providing FIVE 3D modes - Anaglyph (Red/cyan), Side By Side (Full), Side by Side (Half-Width), Top and Bottom (Full), Top and Bottom (Half-Height). The converting speed is 6x faster than other Converter Apps. Now it’s on sale. ***** Super DVD Creator, especially designed for users, is to create DVD with any video. You can convert any video like MP4, 3GP, MTS, TS, AVI, WMV, MOV, and MKV to DVD disc with no any limitation. Also, it enables you to create DVD folder and DVD ISO files according to your demand. With creative and flexible features, you can customize DVD menu with multiple menu templates, frames and button styles. Now it is time-limited offer.